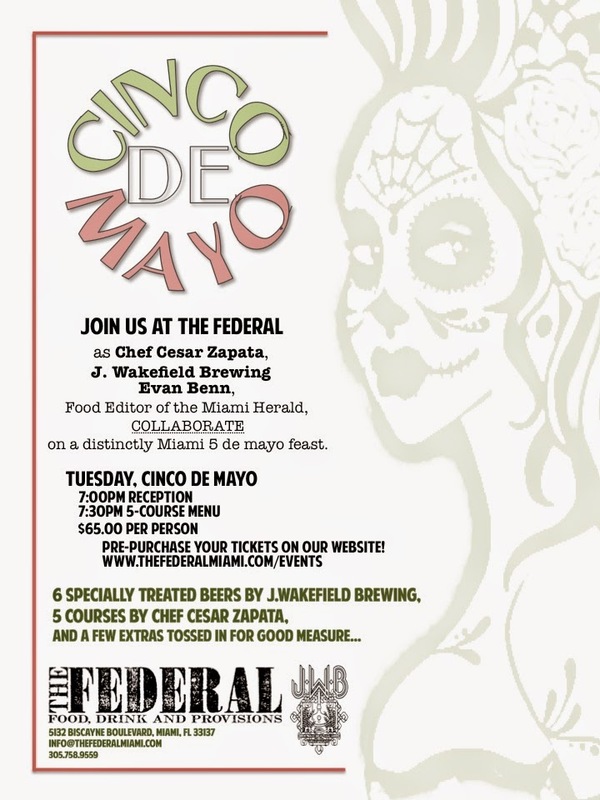 Food Editor of the Miami Herald and Beer Expert, Evan Benn is teaming up with J. Wakefield Brewing and The Federal for a Cinco de Mayo beer and food feast. 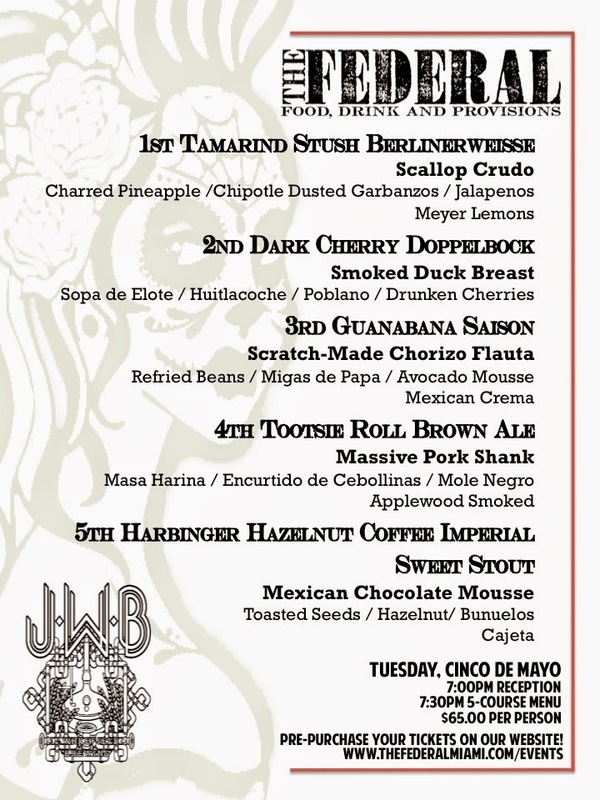 Chef Zapata's five course menu is below along with the six beer pairings. Tickets are $65.00 and can be purchased HERE.